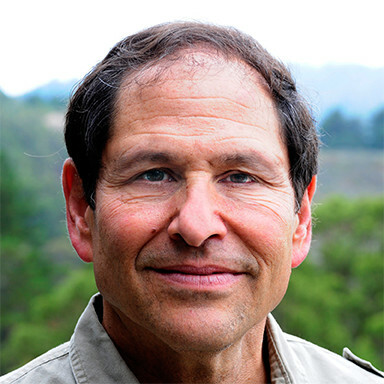 Steve Michelson is the Executive Producer for The Fund for Sustainable Tomorrows, a 501C3 non-profit specializing in supporting engagement campaigns around cause-related documentaries. Issues the Fund focuses on include: health, social justice, sustainability and the environment. Steve has functioned as the Executive Producer to many award-winning films involving social justice, health and environmental issues including: In Our Own Hands How Patients are Reinventing Medicine (2019), Scarred Lands and Wounded Lives (2016), Walking in Two Worlds (2014), River of Renewal (2009) and Power Paths (2009), Burning the Future (2008), Crude Impact (2006), Oil on Ice (2004), and Climb Against the Odds (1998). From 2006-2018 he has been the Executive Producer at the Video Project, specializing in educational and institutional distribution of documentary films. His production studio operates out of his Ranch in Half Moon Bay, CA. called Lobitos Creek Ranch. It has been redesigned recently to accommodate retreats for organizations and groups that come to strategize on some of the challenging problems society faces. Steve has served four terms as a Governor with the National Academy for Television Arts and Sciences (NATAS) and is the recipient of the Gilbert Award from the San Francisco Bay Area film community for his contributions to the industry. Steve was the co-founder of	One Pass Inc., San Francisco's largest production service from 1975-1988. He is a graduate of the University of Pennsylvania where he attended The Annenberg School of Communications and the Wharton School of Business.